Of all the things I do, have done and, I suspect, ever will do, keeping my calendar is just about the hardest. I don’t know why, but keeping it straight, getting the right days, times, locations and YES! the correct names only seems to work 90% of the time. And while that seems like it’s pretty good odds, when you are dealing with the public—when you are seeing people who are paying you, might pay you, will refer you others who will pay you—90% just isn’t good enough. If I had a dollar for every time I opened my calendar to discover that I have an appointment with/for “lunch,” I could buy lunch at LA’s most expensive restaurant. And since the advent of the online calendar, at least once a month I note that I have a “New Appointment,” but with whom and where is mystery. And so, to every administrative assistant who suffered my wrath because of calendar glitches—a million, make that two million, apologies. In my sole proprietorship, it’s become clear that none of you were as inept as I presumed. As I muddle through these travails—and if anyone has a solution, please let me know!—I have learned and relearned a thing or two about making the best of a bad situation. The first thing of course is to take responsibility. 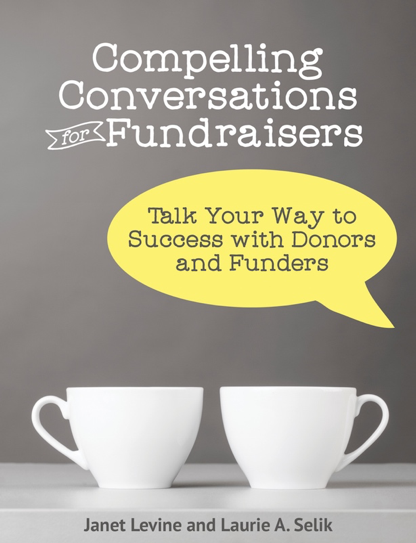 It does no one any good (least of you—fundraiser or consultant!) to insist that the mistake is on their end. And sending the smoking gun email is not a good move. Better to take the blame and apologize profusely. The second is to confirm every meeting—I often do this twice. Once right after the meeting is made; the next 24 hours before the meeting is to take place. The former often recues me from the “With WHOM am I having lunch?” or “WHAT appointment?” conundrum that hounds me. The latter is just smart business. I have driven too many times or sat in too many coffee shops only to find out that the other person has the same calendar problems as I. If I realize, early on, that I’ve overbooked myself—I have a tendency not to think about travel times—I do immediately call with a mea culpa and see if we can change the meeting. Changing a meeting, of course, is always easier than making one in the first place—unless you are constantly moving this person around. I have been known to email several likely suspects to find out if they are my mystery lunch or meeting. In addition to often solving the problem, it does let me reach out people I don’t currently have a meeting with and rectify that. And, by admitting that I am not the sharpest tack when it comes to calendars, I have discovered that I have a whole lot of company. This entry was posted in accountability, productivity and tagged calendar, meetings, productivity, scheduling, time management. Bookmark the permalink.